Fontinalis Rising: Who Am I, Why Am I Here? 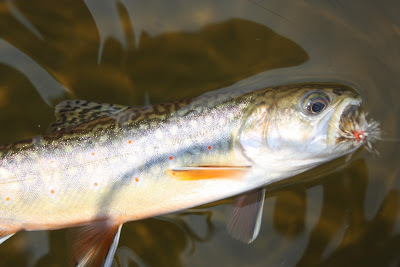 Salvelinus Fontinalis- the scientific name for the Eastern Brook trout. I live in Northern Michigan, the home of Mr. Fontinalis, and pursue him on a regular basis. Fontinalis Rising is my attempt to bring you the type of outdoor coverage that I like to read- gritty, boots-on-the-ground, yet creative and literate. Through my posts I hope to bring you the how and what, but especially the why of my outdoor activities- whatever it is that got into my blood so many years ago and drives me to spend the better part of each year outdoors. I plan to bring you outdoor reportage, interviews, product reviews, how-to as well as essays and diatribes. While based in Northern Michigan, I plan to venture abroad and share those adventures with you. In short, I'm trying to produce the type of magazine I would like to read. 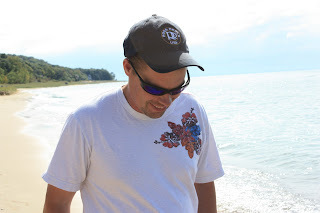 I was born and raised here in Northern Michigan, but I love to travel. I have always been a photographer and have this huge back-log of photos to share, and so I hope you enjoy them- unless noted, all photos are original. I have several loves in the outdoors, including bow hunting and kayaking- especially kayak camping in my beautiful Wilderness Systems Tsunami 125. I plan on writing about these things as well, but may have to start another blog for those. Anyhow- I appreciate all of your support- feel free to contact me at any time at fontinalisrising@gmail.com. If I say something that rankles you let me know- I like to think that all my opinions are thought out, but do remember that they are opinions. To me blogging is about fun and entertainment (and photography) and so I hope you have as much fun following this as I do putting it together. Fontinalis Disclaimer: because I'll be covering people, products, organizations, and businesses across the spectrum of outdoor activity AND voicing my opinions I hereby state the following: my opinions are mine and do not reflect those of the people, products, organizations and businesses I will cover, nor does their inclusion on this blog imply in any way that they embrace my opinions or comments. In other words, we're all big kids here and all are individuals. Respond accordingly.